World Welterweight Champion in 1915 and 1916 and from 1917 to 1919, Ted “Kid” Lewis was nicknamed the “Aldgate Sphinx.” He fought in six different divisions, at weights from 116 to 166 pounds, during his 20-year career. Lewis became England’s youngest boxing champion in October 1913, when he won the British Featherweight title at the age of 17. Just a few months later, in February 1914, he captured the European Featherweight crown. When Lewis won a 12-round decision over World Welterweight Champion Jack Britton in Boston on August 31, 1915, The Kid became the first Englishman to win a world boxing title in the United States. Lewis and the American Britton were to fight 20 times between 1915 and 1921, with Lewis losing the title to Britton in 1916, regaining it the next year, and losing it for the final time in March 1919. Lewis relinquished his claim to the British Empire and European Welterweight titles in December 1920. In June 1921, he won the British Middleweight crown, and less than four months later, the European Middleweight title. In May 1922, Lewis was stopped by Georges Carpentier for the World Light-Heavyweight championship, but in mid-June of the same year he KO’d Frankie Burns to win the Empire Middleweight title. 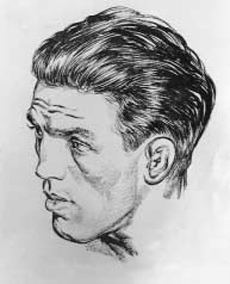 Lewis lost the last of his European boxing crowns in November 1924. In 1913, Kid Lewis was the first boxer to use a protective mouthpiece. It was designed for him by his dentist, Jack Marks, himself a former fighter. The mouthpiece soon became—and continues to be—standard equipment in the sport of boxing. Lewis’ professional record: 283 bouts—won 215 (71 KOs), lost 44, drew 24. Lewis was elected to the Boxing Hall of Fame in 1964 and the International Boxing Hall of Fame in 1992.